If you think that enchiladas are only good with mole, this recipe will change your mind. Don’t miss out! 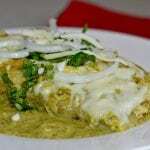 Enchiladas are typical in Mexican cuisine and where I am from they are usually made with a mole salsa – which is made with a base of dry chilies and chocolate. 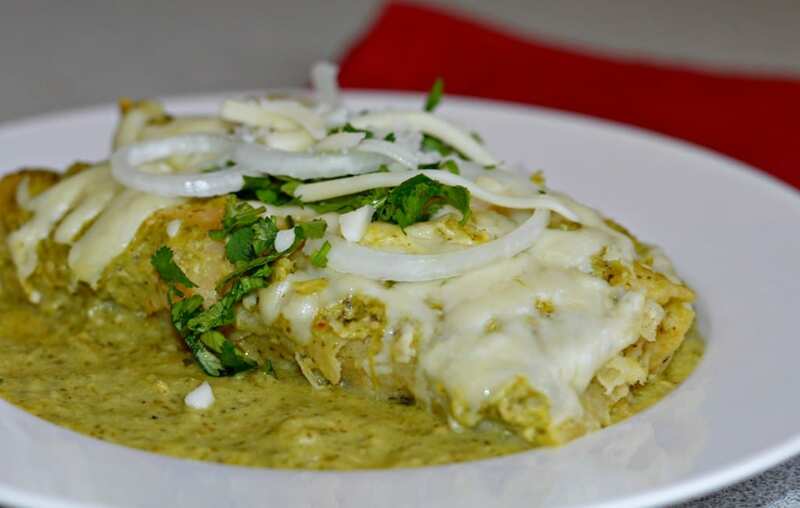 In other parts of Mexico they call those enmoladas and they call enchiladas verdes enchiladas suizas or swiss enchiladas (I admit that I have no idea why). 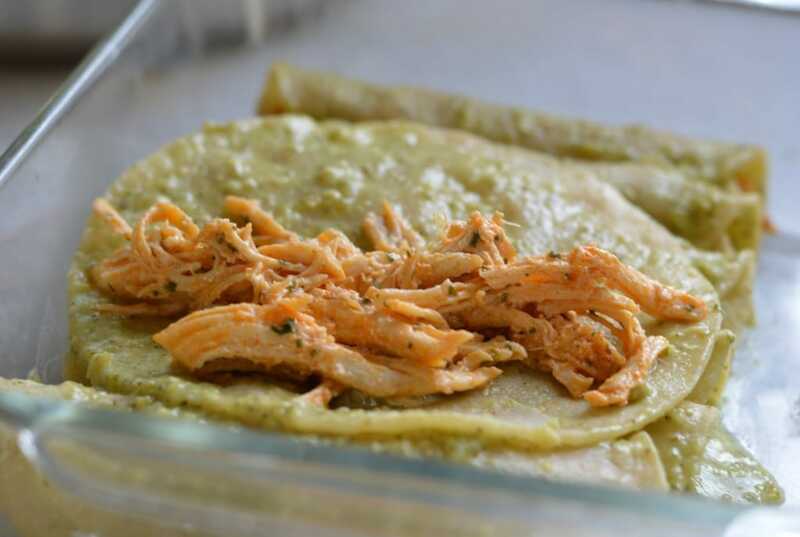 Whatever it is that you want to call them, these enchiladas will definitely become one of your favorites – they are easy to make and perfect for those busy days. 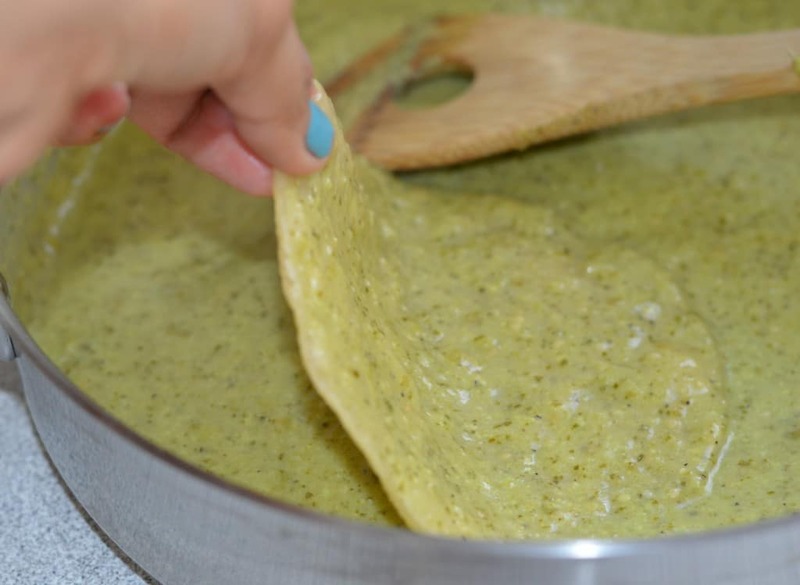 The salsa for this recipe is made with fresh tomatillos and it is perfect to use instead of the canned salsa verde for enchiladas that you can find in most stores in the United States. 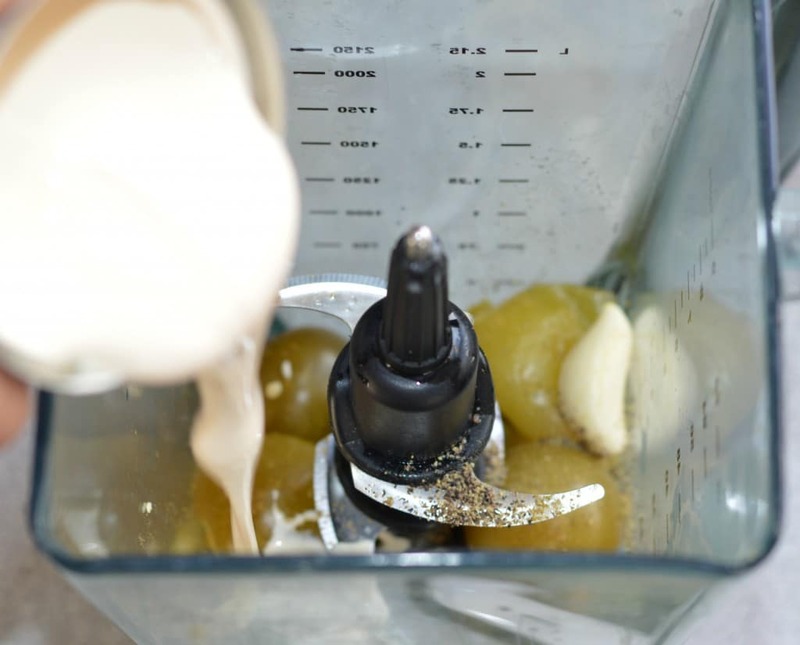 This is nearly as fast to make and you will end up saving yourself from all of the artificial flavors and preservatives and replace them with naturally fresh flavors. The combination of perfectly seasoned chicken with the creaminess of cream cheese makes for a fresh, flavorful, slightly spicy, and delicious taste of Mexico. Add 1/4 cup of chicken stock let cook for 5 additional minutes. Remove from heat and set aside. 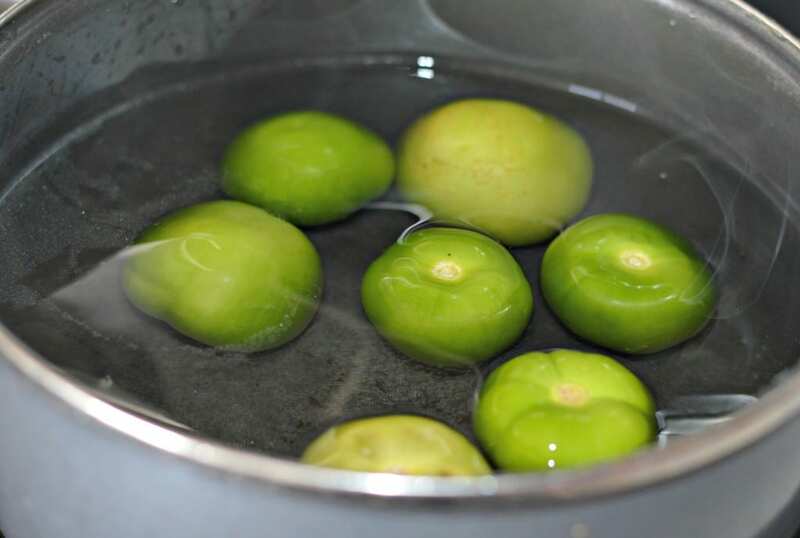 Boil the tomatillos, garlic, onion and jalapeno for 5-7 minutes. 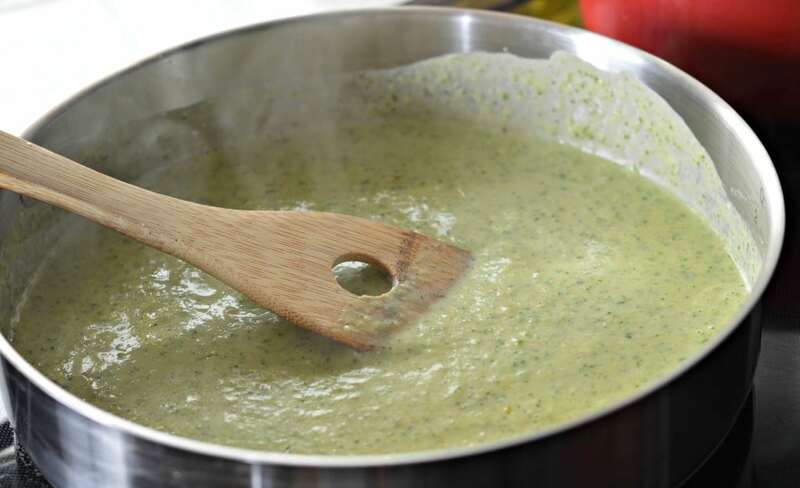 Then blend in a blender with the cilantro, the table cream, and 1/4 cup of chicken stock. Once blended, pour into a hot frying pan with a little bit of olive oil and let cook for 3-5 minutes. Heat the tortillas either in the microwave or on the stove top. Coat each tortilla in the salsa verde. Fill each tortilla with the chicken filling and roll. 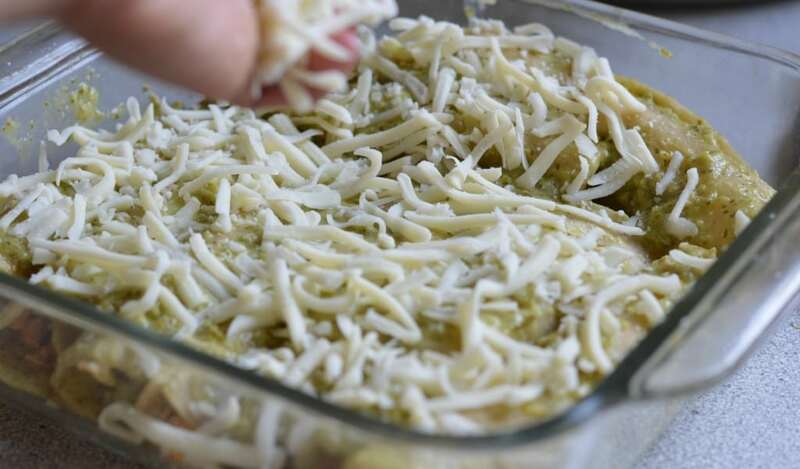 Place the rolled tortillas in a baking dish and cover with the remaining salsa verde, and the mozzarella cheese. Bake at 400 degrees Fahrenheit for 15-20 minutes, or until the cheese is melted. Top with cilantro and onion if desired. Hello Janet, do you happen to know how much cilantro and table cream is needed for this recipe? as it does not specify in the instructions, also, roughly how many servings does this recipe make? Hi Chris – The cilantro is just a garnish, so I would recommend about 1/4 – 1/2 a bunch, chopped. For the table cream, I usually use a full can of the Nestle table cream (about 8 oz). For servings, this will make enough salsa to make around 20 enchiladas, depending on how much salsa you use. I usually have some salsa left over. Good luck!